Maltatal, November 2016. The last light is about to leave the valley and the already low temperature drops even more. A small group of climbers muffled up in warm down jackets is standing below the infamous Bügeleisen-Boulder. Everybody is ready to call it a day except one guy. 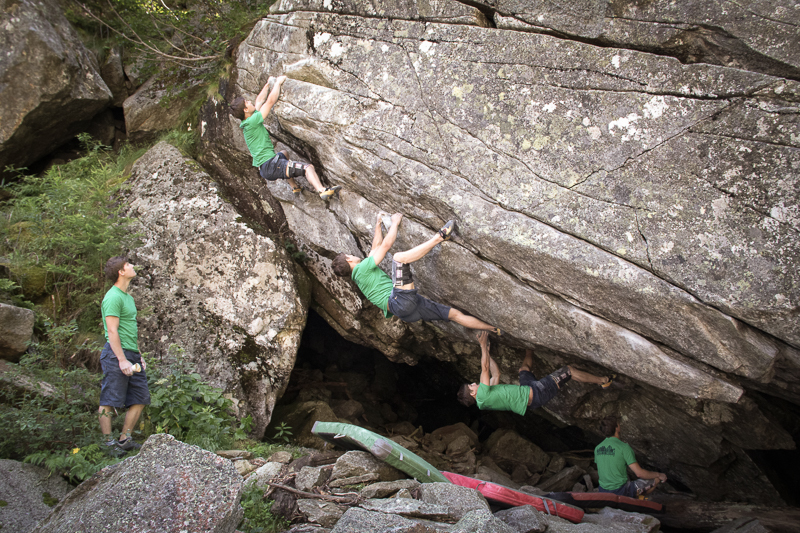 Eager to give it one more go, Christof Rauch is trying over and over again to perfect the sequences of the 15 moves up the 60 degree overhang. 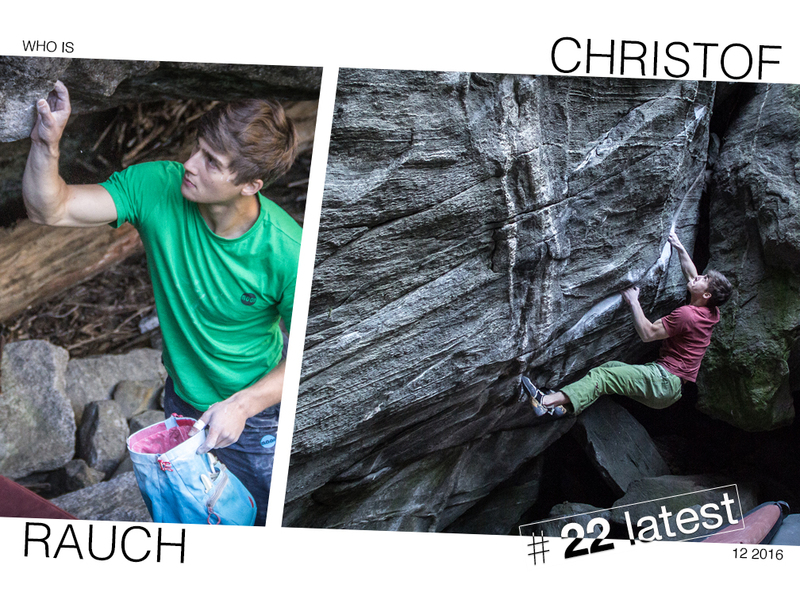 Eight months earlier Christof made a quick ascent of Bügeleisen’s stand start (fb 8B+), now he is working the sit (fb 8C). Back then the young gun from Zillertal came to my attention and like many others I asked myself: Who is Christof Rauch? STEFAN You started the season in Maltatal by opening The Source fb 8b+. Could you give us a short round up about the process working the problem? CHRISTOF At the end of June I had the first session on “The Source project”. When I saw the problem for the first time I was overhelmed about the beauty of the line. Half of the problem was wet but the crux-section was climbable. After working the moves for a while I suprised myself by doing the crux moves on my first session. Psyche was high so I returned the next weekend with dry conditions. I managed to find good beta for the lower moves and was able to climb a logical stand-start which consists of 4 really hard moves on sidepulls and underclings, bad feet and a tricky kneebar. Motivation was higher than ever before and I had a few early bird sessions where I stood up at 4:30 in the morning but unfortunately the summer conditions where against me. At the end of the summer I had two sessions where I fell on the last hard move. But on the 16th of September it all came together. Despite feeling really strong I fell five times extremely close on the last hard move. Slightly frustrated I went for a final go and surprisingly stuck the last hard move and put up my proudest first ascent. STEFAN Since then you climbed five more problems in the same grade, three of them within nine days. Which of them stood out in terms of difficulty and which suited you the most? CHRISTOF At first I climbed Insanity of Grandeur in Chironico. I already tried this problem at my New Years trip but didn’t feel in the right shape to give it serious goes. This year was different and I was able to climb it on the 3rd session of my holiday trip. Then I went back to Magic Wood where I wanted to try Dark Matter, this one made me the most troubles. After a frustrating session on it I decided to try the sitstart of the already existing problem Tigris (8B) which I did about a week before. Without any expectations I surprised myself by putting this line together on the very end of the day. The last one was Dark Matter stand. This thing was a real mental battle after some epic fails on the last hard move before the 7C topout. It was a mind game but I was able to put it to rest on my last day in swiss. 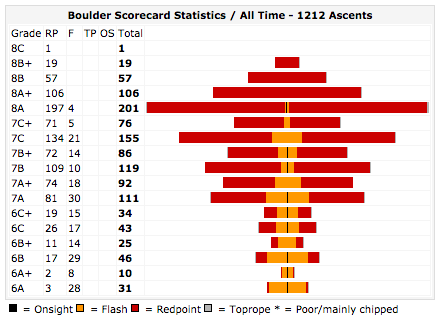 I’ll be definitely back for the sit (8B+/C) but I think it has to wait till next year. In order of difficulty you can say Dark Matter stand was the hardest for me, followed by Insanity of Grandeur and right after that Tigris sit. STEFAN What is your approach when it comes to trying hard problems? How do you choose your projects and do you prepare yourself specifically? CHRISTOF I love the challenge of trying hard problems. My favorite part of the process is the progression on the moves. Sometimes I just find some kind of new microbeta or my muscles just get stronger on the specific moves. These moments sometimes are as good as the ascent itself. I have no specific way to choose my projects. I just try what looks cool and could suite me at least a little bit, then I decide if I keep trying it or put it to rest till I get stronger. Sometimes I do some specific preparation for my projects. For example when I have a project with a lot of underclings I try to built some similar boulders in the gym. But most of the time I just do some basic training with a little bit of fingerboarding and campusing. STEFAN What would you consider your biggest strength in climbing? CHRISTOF Maybe my biggest strength is my motivation. But when it comes to physical strength I would say substance – I can do pretty long sessions, power endurance, shoulder-moves, compression, body tension and lock-off hooks. I’m also not too bad on crimps but I think I’m a little bit to heavy for really small holds. STEFAN I know you as a self-critical person, especially when it comes to your climbing. In which field would you like to improve in the near future? CHRISTOF I think my biggest weakness are dynamic moves especially with low feet! And also on pockets – I can’t hold on 1 finger pockets and 2 finger pockets make me some troubles as well. I also need to improve my halfcrimp-strength, because without my thumb I feel pretty weak. STEFAN Looking at your ticklist of 2015 and 2016 I count incredible 176 ascents fb 8A and harder and the year isn’t even over yet. That means every 4th day you topped out a problem in the 8th grade. How does your body cope with this constant strain? Any advice for injury prevention? CHRISTOF Basically I do a lot of stretching and I have to apply a special massage to my forearms and fingers every day due to chronic tendonitis in most of my fingers. I got the inflammations a few years ago when I did 5 sessions a week without any stretching. Now I never climb more than two days in a row and everything is fine. Sometimes I still get some small injuries but in the past I was lucky enough to get nothing too bad. STEFAN Currently no Austrian is climbing more high end problems than you do. 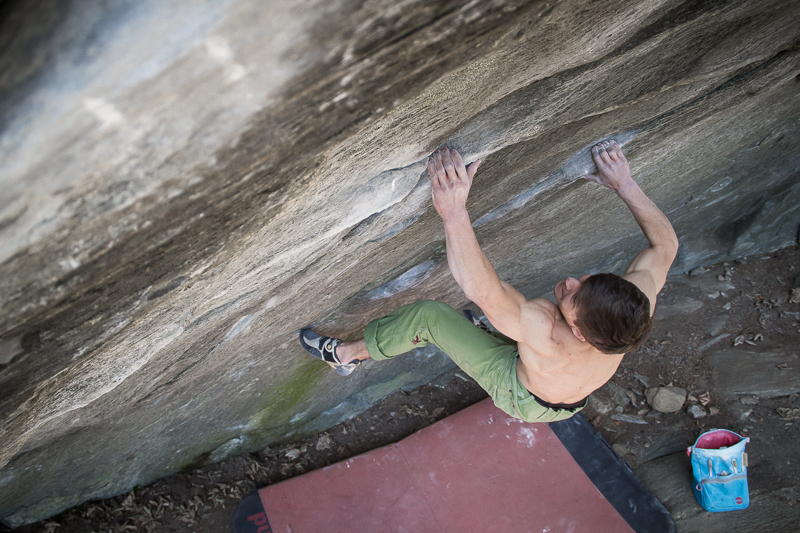 How tricky is it for a fairly young climber to get support from the outdoor industry? CHRISTOF Yeah, difficult topic. I would say it’s not so easy. For example I have no shoe sponsor yet. STEFAN In your opinion, how important are social media skills for an athlete to assert oneself within the outdoor community? CHRISTOF Nowadays the social media presentation is the most important element to get a good sponsor. I think the appearance on social networks is even more important than the performance itself. For example I know a few really strong guys without any sponsors and a lot of not too strong guys with a lot of sponsors. STEFAN Everybody who spent some time on the rock with you knows about your seemingly endless motivation. 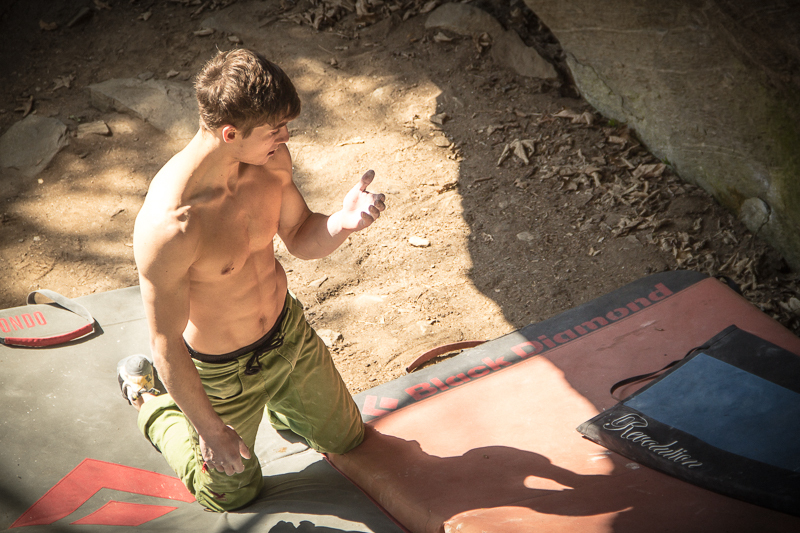 How do you push yourself to train and climb at your limit? CHRISTOF My motivation for the rock is always there and I can’t imagine not being motivated. Training is another story. Basically I’m rarely motivated for the training itself but when I think about my projects on the rock I really feel the urge to get stronger! Since I have to work 38,5 h per week it’s also the best choice to train some hours in the gym after work. STEFAN I guess you are slowly running out of boulder problems. Do you have any specific lines in mind you would like to climb this winter? 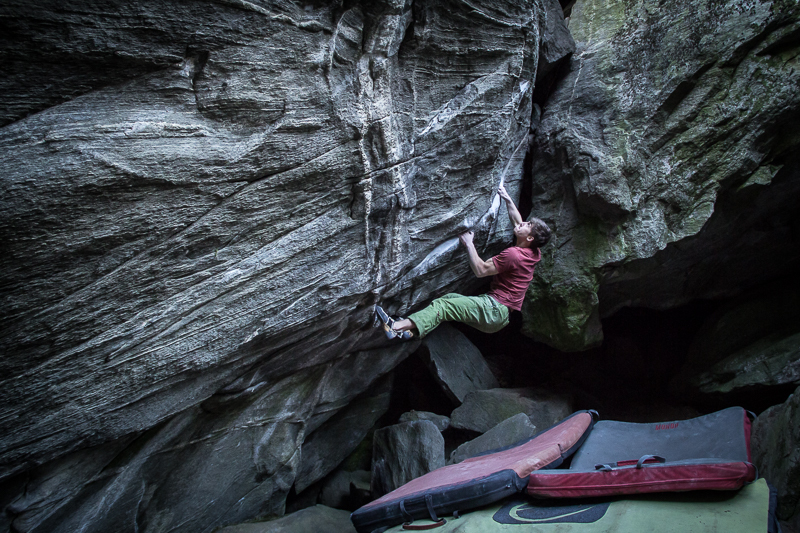 CHRISTOF I think there are still a lot of really hard lines left but in the 8A range they are getting less and less. Probably that’s one of the reasons why I started to project more harder lines instead of climbing a lot of “medium” hard lines at the second half of the year. I have a lot of projects but I don’t think that I can climb even half of them this year. For example Der mit dem Fels tanzt fb 8C, Big Kat fb 8B+, Emotional Landscapes fb 8C, Bügeleisen sit fb 8C, Lady in black fb 8B+, Zunami fb 8C, one hard 8B+ and one 8C project in a cave in the western part of Styria and many more. STEFAN What is it about Bügeleisen that makes it so special? CHRISTOF The Bügeleisen is just one of the most beautiful and proudest lines I have ever seen! The climbing is pretty cool as well and it’s quite my style. The fact that it was established by the living legend Klem Loskot and Nalle’s amazing story of the sitstart make it even more attractive to me. STEFAN One last question, maybe the most important one: What means bouldering to you? 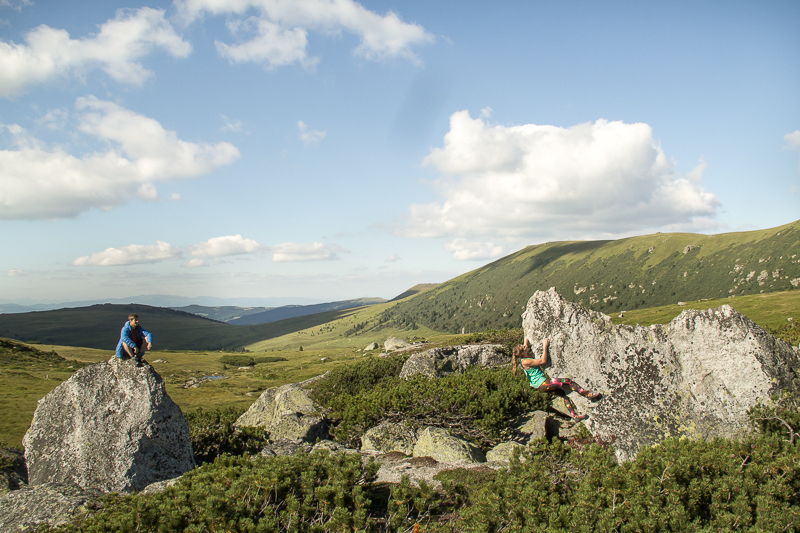 CHRISTOF Bouldering stands for having fun in Nature with friends, trying hard, failure, frustration, progression and ultimate satisfaction. STEFAN Let’s leave it at that. Thanks for your time and keep up the psych! CHRISTOF I’ll do my best, thank you! Christof Rauch, born 13.5.1994, is currently living in Carinthia, Austria. The 22 year old Tyrolean from Zillertal is sponsored by Moon Climbing. To stay updated follow him on instagram.com/christof_rauch and facebook.com/christof.rauch. 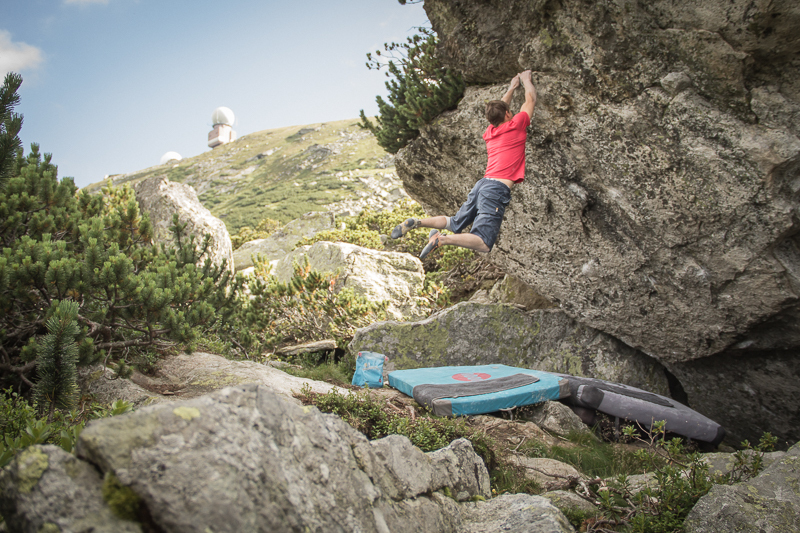 Christof holding the swing of Flying Nemo fb 8B at Koralm, Austria. Christof and Karoline Sinnhuber at Koralm. The Source fb 8B+, Maltatal. Too warm to climb hard. Working Emotional Landscapes fb 8C in Maltatal. First repetition of Nalle’s Flight Mode fb 8A+ in Maltatal. Christof added a sit start proposing 8B.